Google Shopping is a bit of a mystery to a lot of advertisers despite the significant increase in popularity. Some say trying to figure out Google Shopping can be likened to working out the Da Vinci code. OK, I may be over exaggerating but it’s very different to your ordinary PPC Search campaign. The main objective of your product title is to be recognised as a relevant match to the users’ product search query when Google crawls through your Shopping feed. Getting your title at a good enough standard is generally one of the most important components to get right in Google Shopping. It needs to be keyword-rich, in a weighted order of importance to the customer and highlighting any key attributes you think your customers will want to know whilst going through the purchase decision making process. Other than the image, it is one of the first things a potential customer will see. When you write your titles, you need to think about what type of keywords you’d like your product to appear under. Unfortunately, it is not as easy as PPC Search where you can choose your keywords and put them into its own campaign in Google AdWords. Your keywords will be naturally picked up from your feed based on what is written in your titles and description and what Google deems as relevant. You will want to include very product specific keywords in your titles that are more likely to convert into a sale. This generally gets into as much detail as brand, model, colour, size etc. For example, if a user was searching for ‘mens blue nike air max 90 trainers’, the chances are they are actively looking to purchase as they know exactly what they want compared to another user who has put in a generic search term such as ‘men’s trainers’. Product descriptions is another key attribute which aids towards improving your overall ranking and likelihood of appearing in Google Shopping results. The general rule of thumb is to continue with further descriptions of your product relating to the specificity of the product as you did in the title. Make your description keyword-heavy as the optimum description length is around 500 to 700 characters (though can write up to 5,000 characters) but it will enhance your chances of appearing for relevant search terms. Re-order keywords if you have to and use other attributes of the product which wouldn’t fit in the title. If you get stuck for ideas then there is no harm to see what your competitors are using for a similar product. The description is actually rarely seen by the customer anyway, it’s more of a description for Google’s benefit to make sure that your products appear for the correct search term. You can start using descriptive keywords if you wish but try not to include colours and other brands you may have available for the product as Google may mis-interpret this. If you put into the description that the Nike Air Max 90 trainers are also available in red, green, grey and black, it may result in your blue Nike Air Max 90 product listing ad appearing under some searches for those alternative colours mentioned in your description. Again, to help Google understand more about what products you’re trying to appear for, they ask you to classify your products under a category. This is to help Google’s crawlers determine the product you’re trying to advertise. An example where this would be very helpful is if you were using Google Shopping to promote wallets. You may not know that there are actually 2 types of wallets you can purchase, you have your normal cash wallets and your gaming wallets which some gamers use to purchase credit for certain games. Google may find it hard to differentiate the products without Google’s taxonomy. You will need to put the classification for the gaming wallet under a gaming/software related taxonomy such as Software > Digital Content Software > Virtual Currency and put the cash wallet into a classification such as Clothing & Accessories > Wallets > Wallets & Money Clips which will clearly differentiate and define the two products to Google. This along with other product identifiers in your Google Shopping feed will help Google establish what products you’re trying to promote. Merchant promotions allow you to make the most out of an offer you are running which you can advertise through product listing ads on Google Shopping. You can create the promotions within Google Merchant Centre or you can include it in your feed. You’re eligible to promote through Merchant Promotions if you’re offering a discount (percent off, cash back, buy one get one free etc. ), free gifts or free delivery. Google will display a special offer on your listing, which can be scrolled over or clicked on to view the offer. The link can appeal to a user and may make you stand out from your competitors. So if you have any offers or promotions, take a look at Merchant Promotions to further promote your offering! Another optimisation method is adding negative keywords based on search terms which can be reviewed from the help of your search term reports within your Shopping account on Google AdWords. You’ll need to regularly check these to make sure that you’re appearing for search terms relevant to the product you are promoting. You can then discover what products you’re promoting and which needs prioritised optimisation. If there are irrelevant searches appearing for ad groups which aren’t relatable, pop these search terms into your negative keyword list to stop the advert appearing again for that search term in future. Also, watch out for any search terms which have low CTR’s (Click-Through-Rates) as it’s likely they are going to be irrelevant or there may be something wrong with your pricing as the user is choosing to not click onto your Shopping advert. It’s best to take a deeper-dive into other variables if the keyword is relevant to your product. Campaign priorities are a setting by Google located within Google AdWords which allows you to choose the importance of a campaign in case there is a chance of your products overlapping within different campaigns. Your campaigns are automatically set as low so if you would prefer a campaign to appear ahead of another where products may clash then you will need to manually change the prioritisation settings higher. For example, if you were promoting Woolly Hats as a campaign but it was also in your Winter Hats campaign then you can prioritise which campaign you want the product to show up first. You may have more budget for your Winter campaign than your ‘Always On’ campaign approach so you can set your priority high for Winter Hats and low for Woolly Hats and then once your winter budget has depleted, your listing will show up from the budget from the Woolly Hat campaign. 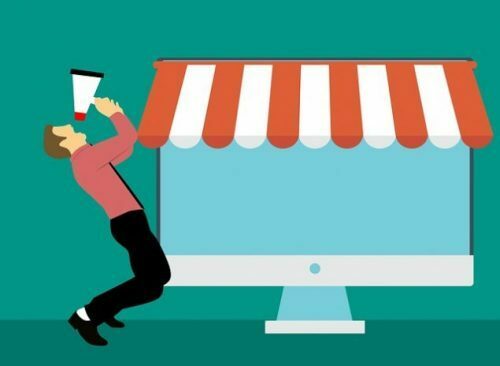 Once you gain a greater understanding of Google Shopping and how it works, you should start feeling more confident to make some of these changes to optimise your campaign to make the most out of this powerful advertising method. It’s becoming such an important channel for advertisers that some retailers are seeing over 50% of their Pay-Per-Click budget going towards Google Shopping. If you don’t feel that you are getting the most out of Google Shopping or getting a sufficient return on investment to quantify spending over 50% of your budget on Google Shopping then I would conduct a deeper audit of your Shopping accounts, your products and your pricing. The 3 ingredients I feel a retailer needs to become successful in Google Shopping is targeting the right products at a competitive price through an optimised Google Shopping campaign and feed. Good luck! After The Elle Darby Furore, Are Social Media Influencers On The Wane?